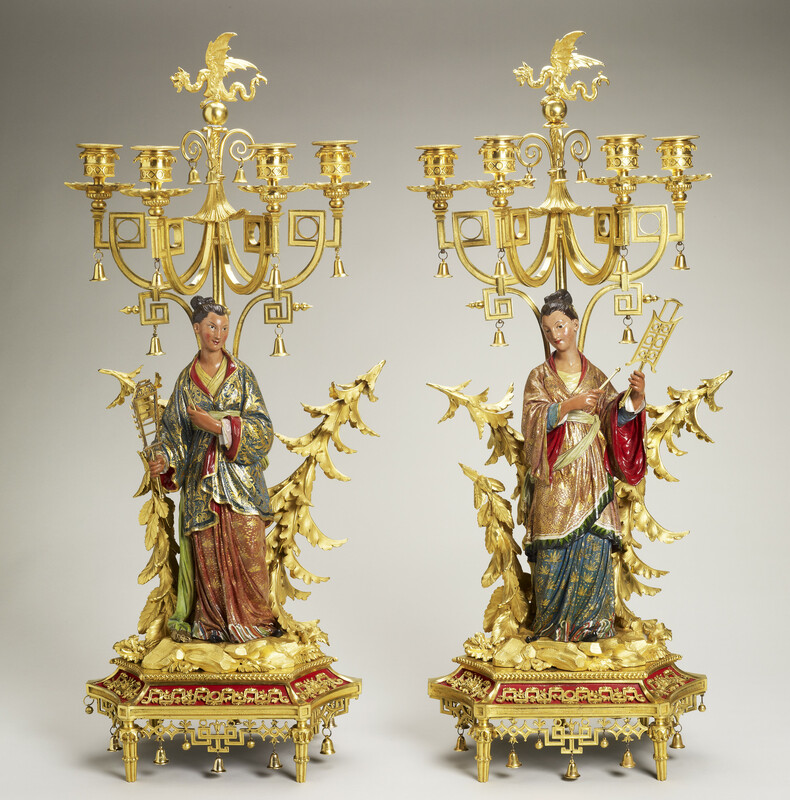 This pair of four light candelabra were part of the decoration of the Chinese Drawing Room at Carlton House. They are of French origin but influenced by Chinese style.The decorative scheme of this room was the earliest incarnation of George IV’s enthusiasm for chinoiserie, which reached its greatest intensity in the redecoration of the Royal Pavilion 25 years later. In 1819 they were moved to the Royal Pavilion for the furnishing of the Music Room Gallery.